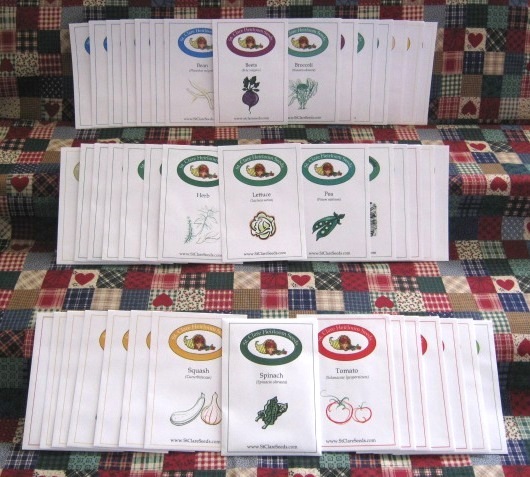 View cart “Small Family Vegetable Garden Seed Collection” has been added to your cart. $4.00 Shipping on all Seed and Book orders! Over 500 Heirloom and Open Pollinated Seed Varieties! Learn the basics of growing a fabulous garden – Click here to learn more! 2019 Seed Catalog available for download! If you would like to purchase a catalog and have it mailed to you Click Here. Otherwise we do have the catalog in PDF for you to download and print out. The PDF file is 6.89MB and you will need Adobe Reader (Free Download) or a program that reads PDF format to view this file. Our catalog works best when printed double sided. Some of Our Favorite Heirloom and Open Pollinated Seeds! Our unique seed packaging designed with you, the customer in mind! Click Here to read more about our seed packets. If your not sure what kind of Heirloom and Open Pollinated Seeds they would like, get them a Gift Certificate! 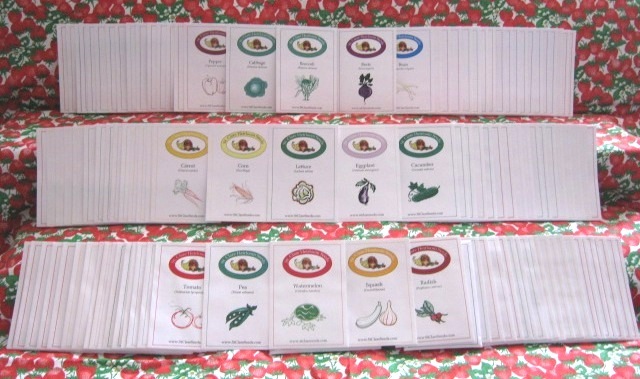 The Large Family Vegetable Garden Seed Collection is the perfect package for the large family, market grower, or a community garden. A large selection of our best all-around vegetable and fruit garden seed varieties, all open-pollinated, non-hybrid, and Non-GMO. The St. Clare’s Ultimate Vegetable Garden Seed Collection is the second largest vegetable garden seed collection we offer. This garden seed package is a great choice for the garden enthusiast who wants to try a large variety of veggies in their garden or for those wishing to stock up some on this vital commodity, which will be worth it’s weight in gold in times of economic downturn. Why Heirloom and Open Pollinated seeds? That is a very important question today. Heirloom and open pollinated seeds and their preservation and continuation are vital to the future of us all. As more and more seeds are being genetically modified these days, and hybrids are flooding the market, true-to-type home grown heirloom and open pollinated seeds are in danger of extinction. Some of the major seed companies want to control the seed market and force people to return to them for their vegetable garden seeds. We must not allow this trend to win out. Hybrids and GMOs are geared to modern agriculture’s mass productions. They aim to produce higher yields and more uniform size and maturity times of fruits and plants. These features do not matter to the average home-gardener or small market grower. In this focus on breeding for specific characteristics that is geared to mass production, much has been lost in the flavor and nutrition department, with unhealthy side effects for us all. Our mission here at St. Clare Heirloom Seeds is to take part in the movement to reverse this trend for ourselves, and you our customers. Do you remember those delicious heirloom vegetables out of your grandmother’s garden? How about how fun it was to plant those heirloom and open pollinated seeds with her, as she told you how those seeds had been passed down from generation to generation? Nothing tastes better than those old-fashioned heirloom vegetables, straight out of the garden, or your own harvest preserved and stored and brought out on a cold winter day, for all to enjoy. We want to provide you with the best heirloom vegetable seeds, pure, healthy, non-GMO, non-hybrid, untreated, and true-to-type! Our desire is to ensure that generations to come will enjoy the experience of gardening with heirloom and open pollinated seeds. That those who follow us will enjoy the wonderful old-fashioned flavor and goodness of home grown heirloom and open-pollinated vegetables, and experience the wonder of the cycle of gardening with open-pollinated seeds. Plant the seed, watch it grow, feed it, water it, select seeds from the best heirloom fruit, carefully save the seeds and store them, waiting expectantly for next year’s gardening season to come around, and start the process all over again, growing the same great vegetable variety you love. 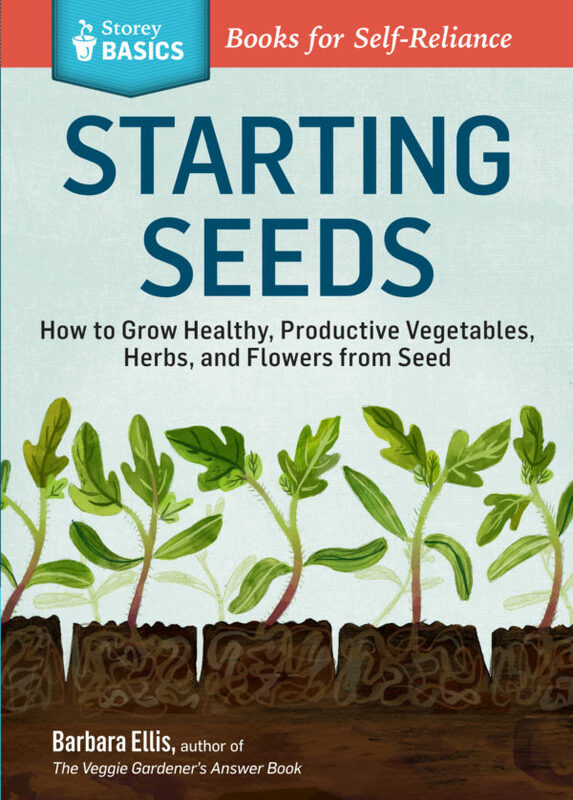 The health benefits of growing with heirloom and open pollinated seeds are great, as well. The seeds are safe and healthy, and when you grow them in your own backyard, free of chemicals and pesticides, you know right where they came from and that they are chemical-FREE! Besides the nutritional value of the fruits you grow, you get exercise and fresh air when gardening, both very important to healthy living. And if you garden together as a family you can slow down a bit from the daily grind, and enjoy each other, teaching your young ones the value of good healthy hard work, and getting to know them better. 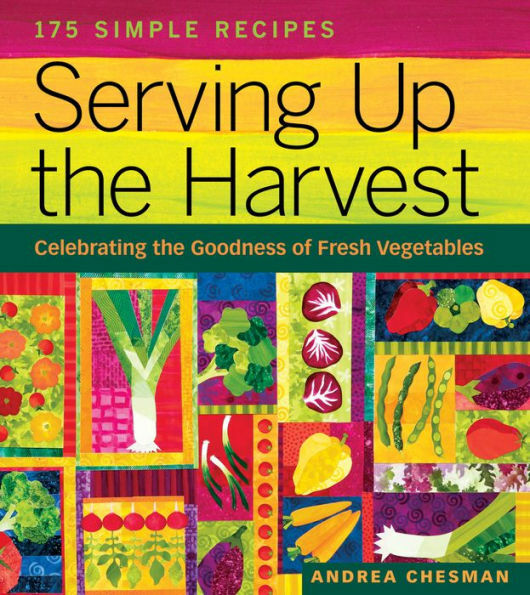 Andrea Chesman shares more than 175 recipes designed to bring out the very best in whatever produce is peaking now. We pledge to do our very best to serve you, helping to make your heirloom gardening experience truly enjoyable. It is our desire that you will be well pleased with our products, our service, and your experience ordering from us. We ask you to join us in passing on the tradition of growing and saving your own heirloom and open pollinated seeds. Let us work together to preserve our heritage, ensuring genetic diversity in vegetable seeds, and reassurance of true-to-type reproduction in our heirloom plants, for our children, grandchildren, and generations on down the line! 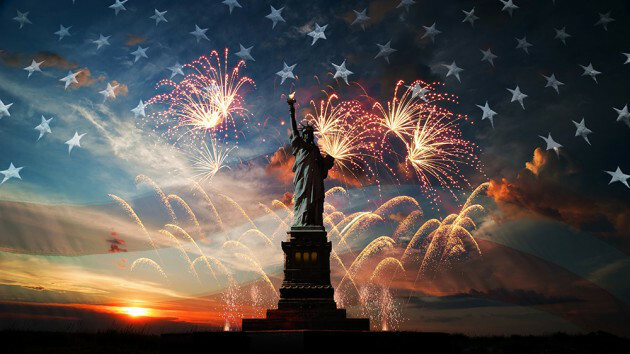 Let us unite to preserve the freedoms intended for us by our forefathers who lived, and fought, and died that we might enjoy the rights so dear to us all. God Bless America! We would like to mention, St. Clare Heirloom Seeds is a home-based business. Due to this fact we are unable to accept guests. For the sake of our family’s privacy, all business is done strictly over the internet or via mail, and we do not allow visits to our facilities. Thank you for your understanding! Some people, in order to discover God, read books. But there is a great book: the very appearance of created things. Look above you! Look below you! Read it. God, whom you want to discover, never wrote that book with ink. Instead, He set before your eyes the things that He had made. Can you ask for a louder voice than that? One of the most inspiring things in life is to enjoy the beauty of God’s creations in the great outdoors. The gardener knows this joy personally. This joy one experiences in gardening is a gift from the Creator of all things in His perfect love and care for us. When we study nature or grow things in our garden we can see His handiwork. When you watch a plant grow from a seed in the perfect order given it by God, think with wonder of our God, it is amazing! All of Creation was given to us as a gift. Let us thank Him in all things! 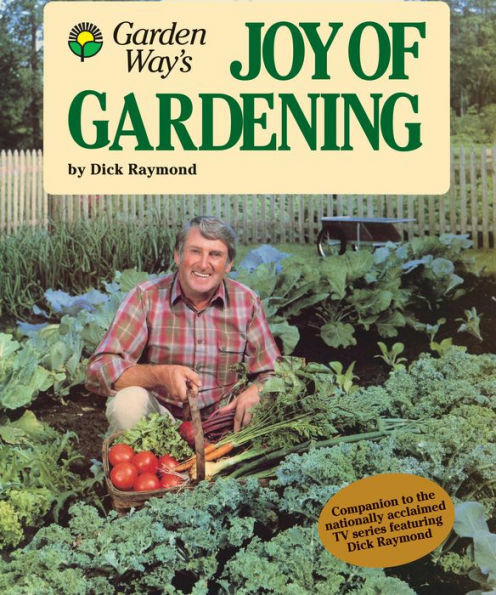 May the joy of gardening be yours this season!